A compromise between the LDP and the opposition parities was reached in 1994. The rural/urban ratio was lowered to a “low” of one vote in the country equalling five votes in the city. When angry urban voters challenged the new 5 to 1 system in September of 2000 the ratio was deemed acceptable by the, “independent”, Supreme Court of Japan. The Iron Triangle has been broken. The 2009 election has ended the tri-ruling structure of Japan made up of the Liberal Democratic Party (LDP), Japan’s powerful bureaucracy, and the Mega corporations that drive Japan’s economy. This so called, Iron Triangle, has governed Japan for all but 11 months since 1955. But the election has finally broken its rule via a landslide win by the opposition party, the Democratic Party of Japan (DPJ). But how was the Iron Triangle been able to rule so long, what has made it so easy for it to maintain power in Japan? For that one has to look at the roots of the Iron triangle and the three main forces that were at play, LDP’s support in the country side, political dynasties, and foreign interference. Voters in rural Japan are like most rural voters around the world are fairly conservative and thus support the more traditional, right wing, party of the LDP. But it goes beyond a shared value system. Rural voters in Japan depend on the LDP for their very livelihood. The agriculture industry is even now both inefficient and economically unviable. It wouldn’t have survived until now without protection and import restrictions. Japan has and still makes its citizens pay 10 times more for their stable food, rice, than they should in order to protect LDP’s farming supporters. The other bread winner in the countryside is the infrastructure industry i.e. road construction, bridge creation, etc. Drive out of the cities and you will be amazed by the bridges to nowhere, whole mountainsides and rivers paved over and unused tunnels that go on forever. Without the support the LDP government offered in the past there would be huge unemployment with whole villages dying out as their inhabitants move to the larger urban areas for jobs. But how does the countryside support help the LDP in such an urban country? Only a fraction of the population lives in the country. The countryside has alot of power because of voting districts; the voting districts in Japan haven’t changed for decades. So while the villages and towns across Japan emptied into the large cities in search of jobs (50% of Japan live in the super cities of Tokyo, Nagoya and Osaka-Kyoto) the voting districts weren’t redrawn. The countryside was and still is hugely overrepresented a fact realized by the now former ruling party of Japan. Over the years opposition attempts to redraw the districts to reflect the population shift have been blocked by the LDP. A compromise between the LDP and the opposition parities was reached in 1994. The rural/urban ratio was lowered to a “low” of one vote in the country equalling five votes in the city. When angry urban voters challenged the new 5 to 1 system in September of 2000 the ratio was deemed acceptable by the, “independent”, Supreme Court of Japan. This rustic over-representation combined with a higher voting turnout of the countryside has given the country supporters of LDP a lot of voting power. This power of the countryside played and still plays directly into the hands of any party with rural support. They don’t have to spend as much money as their urban counterparts because the each vote in the country is worth five in the city. Thus the supporters of the Iron Triangle have been able to easy manipulate the Japanese system by outspending the opposition parties. This brings up another part of the Triangle support system, funding. The funding of election campaigns in Japan is a fraction of what elections cost in the States but it is still a substantial amount that provides a barrier to any party who seeks a seat in the election. The LDP has over the years been able to depend on their campaign war chests being filled with money from a crucial part of the Iron Triangle, the mega corporations that run Japan’s economy. But another source of money that isn’t talked about is foreign funding, as in the quiet and secret CIA monetary support. While this line of thought brings to mind tinfoil hats and conspiracy theories one only has to point out past American actions in other countries viewed as valuable or strategic. The US congressional 1975 Church Report reported that the CIA actively supported the anti-Allende parties in an effort to keep socialist Salvador Allende out of the Chilean high office. With massive monetary support, voter drives and covert propaganda their efforts worked until 1970 when Allende against all odds was elected to power. They then spent millions destabilizing Chile and supporting military dictator Augusto Pinochet take power in a coup on September 11, 1973. This policy of political party support has continued in other countries, including Japan, that were deemed important to American cold war strategy. There have been many documented cases of US agencies secretly funding LDP groups in the past to keep the party afloat. The covert aid apparently ended in the early 1970’s, when growing frictions over trade began to strain relations between the United States and Japan, and the growing wealth of Japan made the agency question the point of supporting politicians. But it was not only money that provided the basis for LDP hegemony over Japanese politics. The Americans also provided trade access. Japan was allowed entry to American markets without trade barriers, while allowing Japan in turn to protect its markets, allowing huge Japanese economic growth that spurred Japan’s, “economic miracle.” This deal of trade for the advancement of the US military’s interests propelled the LDP into self sufficiency. With secured protection from cheap American agriculture products it could protect its rural base. With the huge profits being made by Japanese industry due to Japan’s economic miracle Japan’s big business could contribute more and more money to maintaining the LDP in power. Finally the LDP and its Trade-for-military-bases created the Japanese political dynasties. Sure America has the Bushes and the Kennedys but Japan especially the LDP have a whole class of blue blood aristocrats whose family business is politics. Running on the coattails of the economic miracle the LDP had a third of its members running in seats held by a relative, this compared to 10% for the DJP. Aso the Prime Minister who lost this election had a grandfather prime minister and Shinjiro Koizumi son of popular Prime Minister Koizumi was one of the few LDP members to win a seat this term. These politicians are able to draw upon their family brand and pocketbooks to rule over rural seats where residents return each generation of politician to power in return for farming protection and make work, pork infrastructure projects. It was only the ineptitude of today’s present day LDP party that brought it to total ruin. Stagnating under nepotism and arrogance of its members they couldn’t face the collapse of the world economy and worst Japanese economic performance in decades. Only this perfect storm was able to break the Iron Triangle. So what does this mean for the new ruling party, the DPJ? The overrepresentation in the country still exists. While hit hard by the economic slowdown Japan’s corporations still have huge amounts of money they can spend on any party they deem will advance their interests. 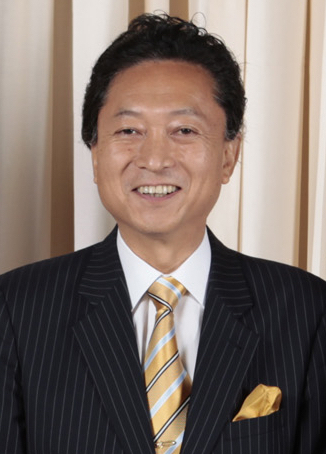 Also, as shown by Kozumi’s son, and the DPJ leader, Yukio Hatoyama, who is also part of a family of politicians prove the political dynasties still have pull. Thus the means for a LDP come back still exist unless the DPJ either dismantles the power of the countryside or convinces the rural vote that it will maintain the status quo. Same goes for big business; they will not support any party that doesn’t advance their interests. So will DPJ become the new LDP or will they take Japan in a new direction? Previous Previous post: Swine Flu: Are you prepared? excellent write-up.. minus the html problems. one note: the current prime minister was part of the LDP before moving over to form the DPJ. Neat article here. I got to learn about Japanese politics, economics and history. Not something they put in those travel books and dvd’s. I had fun reading this.